The northern lights are formed by collisions between gaseous particles in the Earth’s atmosphere with charged particles released from the sun’s atmosphere. Variations in color are due to the type of gas particles that are colliding. The most common auroral color, a pale yellowish-green, is produced by oxygen molecules located about 60 miles above the earth. These are driven towards the poles by the earth’s magnetic field and their varying colors are the result of the different gases in the upper atmosphere. All-red auroras are produced by high-altitude oxygen, at heights of up to 200 miles. Nitrogen produces blue or purplish-red aurora. The lights of the aurora generally extend from 80 kilometers (50 miles) to as high as 640 kilometers (400 miles) above the Earth’s surface. In the recent years, trying to see this elusive and ethereal sight has become a prime reason to fly north for an adventurous winter break, despite the often high costs and the cold, dark and challenging environment in which it occurs. 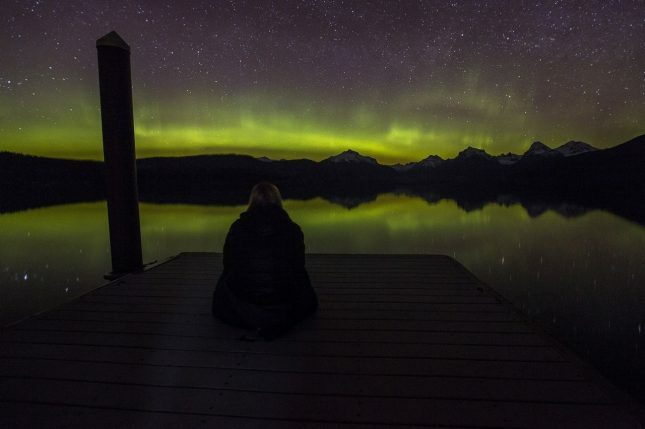 The hours of darkness increase the farther north you travel, and while the aurora can be sighted at any moment, 9 pm to 2 am tends to be prime viewing time. Due to the fact that these processes happen high in the atmosphere, you need clear skies to observe the northern lights. Northern lights are visible during the dark part of the day. So, it’s important to check the cloud over the area you are in. Also, take into an account that in Iceland you mostly observe lights towards the north. However, that’s not always the case they can appear right above you or even towards the south. 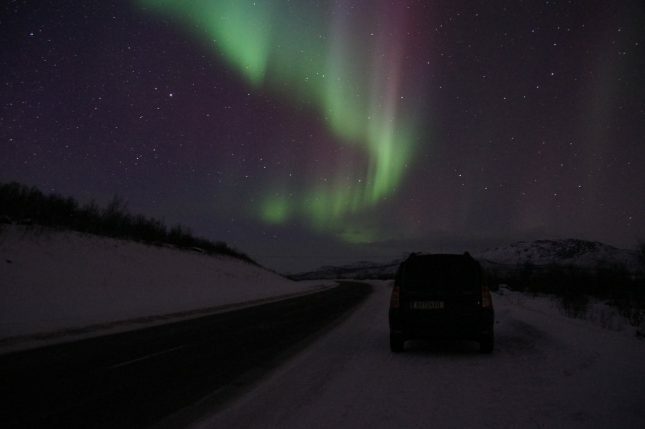 In Iceland, you can start to observe northern lights when the night skies are dark enough to observe stars. So, from around end of August up until the end of April. The Northern lights are one of nature’s great displays, a free, multicolored light show that is most commonly seen in the arctic regions. Every performance is different, a beautiful, shifting dance of nocturnal rainbows that many viewers find a humbling and spiritually uplifting experience. 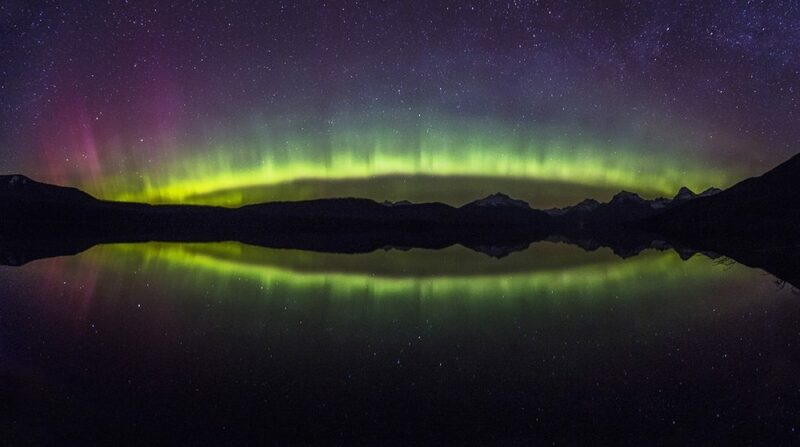 Generally, northern lights appear in short bursts, with changing intensity. Sometimes they can be active only minutes, sometimes they last for hours. To see this celestial disco in its full glory, you will have to head north towards the Arctic, above latitude 60 degrees. 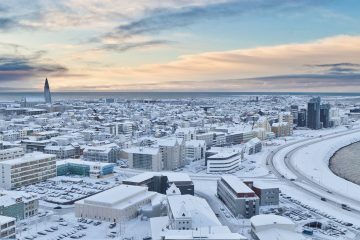 The snowy wilds of Canada and Alaska are fine viewing spots, too, but for most of us, it is more affordable and convenient to fly to Iceland or northern Scandinavia, commonly known as Lapland. Here it is possible to see the lights from late September to early April, with October to November and February to march considered optimum periods. It is now time you see the northern lights for yourself. Witness the explosions of pink, green and orange light up the sky and your senses. 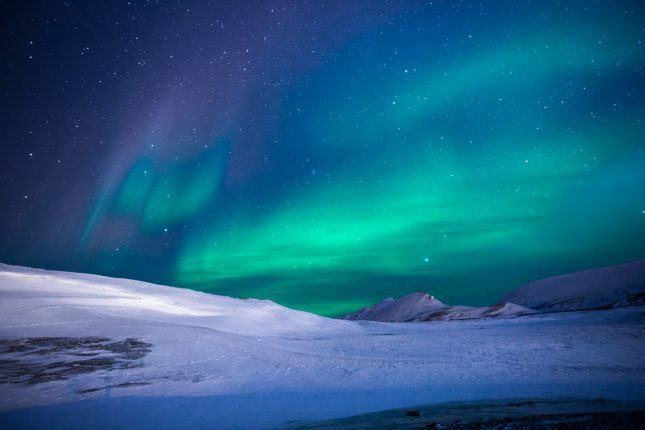 A tour among the snowy ice while the northern lights dance above you will fill you up with thrill and connect you to nature directly.